Chantal and Jason welcomed their amazing baby girl in a long but sacred homebirth, surrounded by both of their mothers and Jason's sister, making it truly a family affair. And about a week later I got to pop in on them and take some photos in the thick of their tender, reeling, emotional postpartum. That first week, guys. It's intense. It's everything. So much goes on in body and heart and mind; it's unlike anything else. Newborn haze is only a halfway decent description of it. But even in watching them during our session and chatting a bit between shots, I'm reminded yet again, of how much attention and TLC this so-called fourth trimester deserves. Families in these first weeks need the support of their village, and reassurance that their parental intuition is alive and well. If you know someone with a newborn, friends, offer your non-judgement presence and practical support. It matters so much. But besides all that, it's also GORGEOUS. 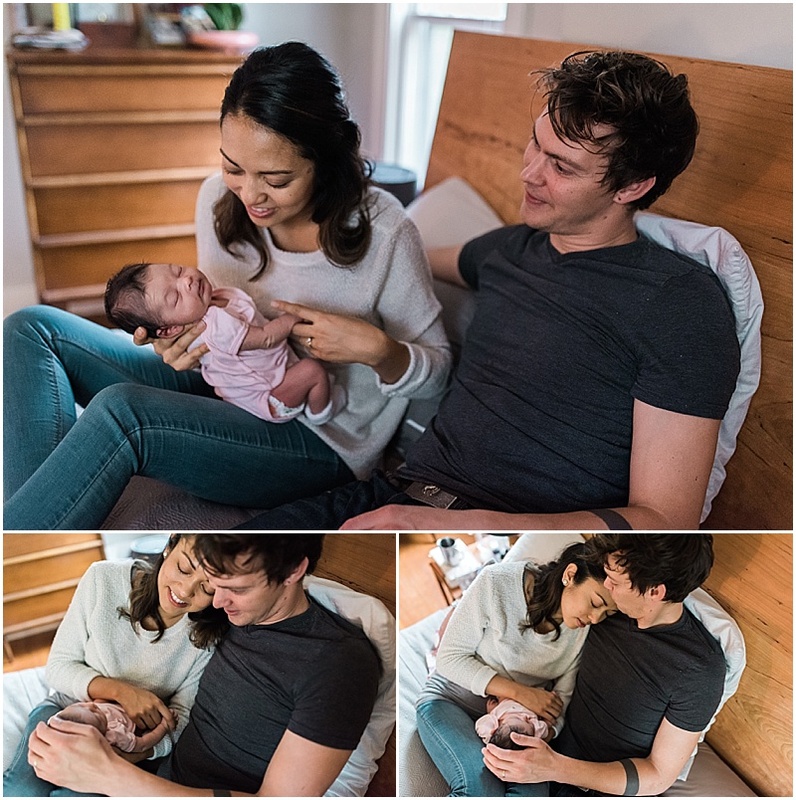 This new family is simply beautiful. They are awash in oxytocin, totally wrapped up in one another in all the best ways. They're off to a great start, and I know their future as a family is bright indeed.